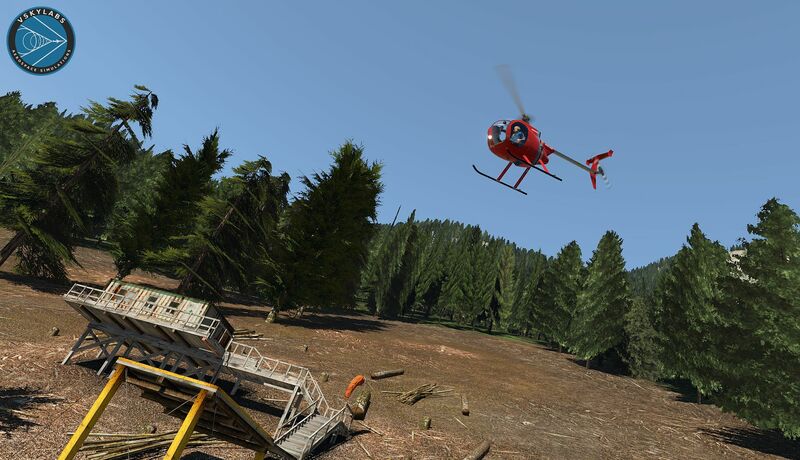 VSkyLabs, experimental aircraft experts, have released their latest project for X-Plane 11.30. The Revolution Mini-500 is an American single-seater chopper and is unique in that the owner must construct the aircraft from a kit-set before flying it. This is VSkyLabs' second successive helicopter release following the Guimbal Cabri G2 in September. 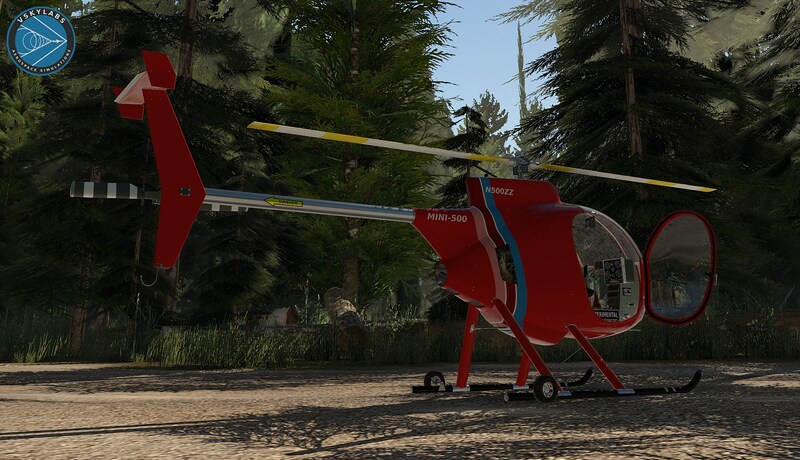 The new Mini-500 utilizes X-Plane 11.30's experimental flight model and features highly realistic flight dynamics as a result. Highly defined flight dynamics model of the Revolution Mini-500. Built around the powerful, native X-Plane 11.30+ 'Experimental Flight Model' environment (must be selected in the General settings window in X-Plane 11). Fully functional VR (Virtual Reality) compatibility. 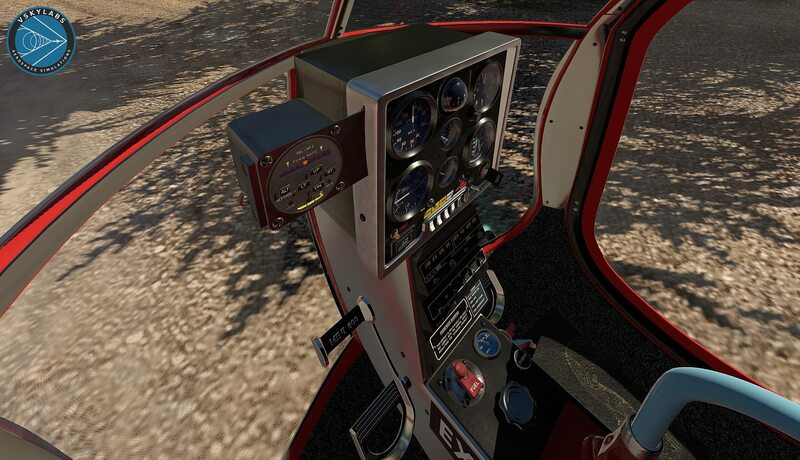 Unique aspects of the Mini-500 helicopter are simulated and are part of the flying experience by definition: Manual engine/rotor RPM management, low rotor-inertia aspects, in-flight nose tuck during engine-stop, rotor RPM management, retreating blade stall condition (Vne), typical Mast bumping, typical autorotation capability and more. 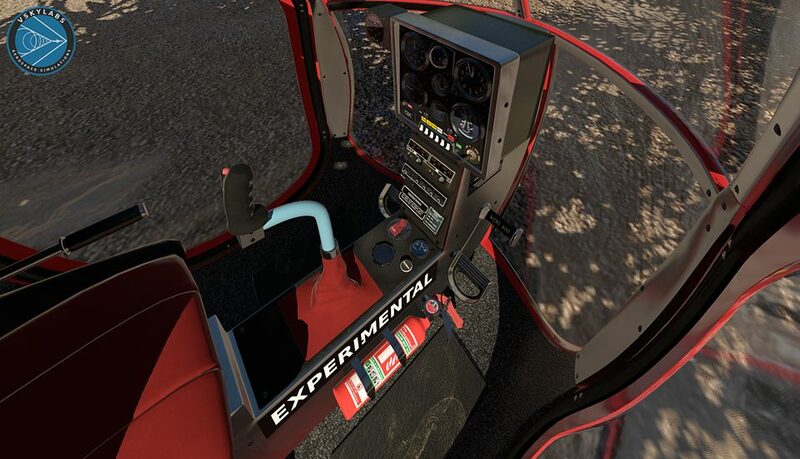 The VSKYLABS Test-Pilot: Mini-500 is designed as if it was a real kit-built helicopter, awaiting for it's first test-flight. Was it built exactly as instructed? Will it fly as expected? wow there is only one way to find out! You will have to get to know it step by step...or you might get yourself into serious trouble when mistreating it. 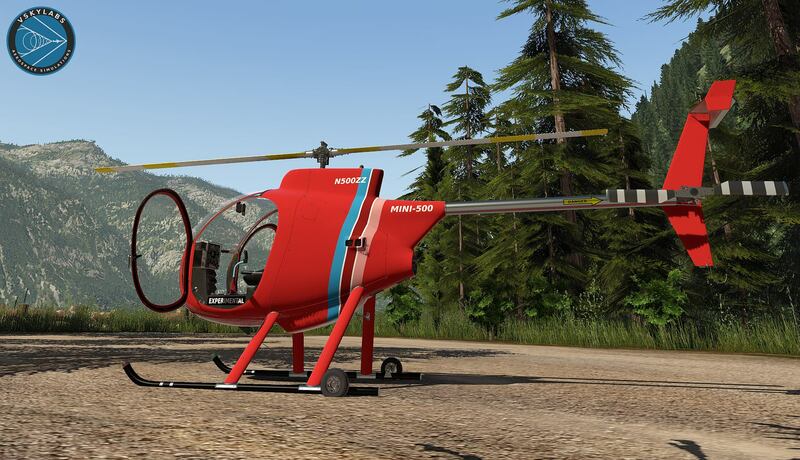 Mastering the VSKYLABS Mini-500 will sure make you a better helicopter pilot! The original pilot's manual was one of the core-materials during development of this project, and the VSKYLABS Mini-500 pilot's manual is built based on it. The project is under constant development. Highly responsive VSKYLABS support forums. You can purchase the VSkyLabs Test Pilot: Mini-500 for $26.50 on the X-Plane.org store.